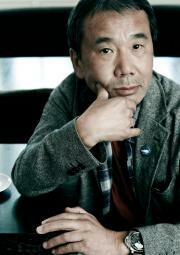 Haruki Murakami, one of the most read authors of the moment, is a music lover and record collector. It is not surprising, then, that music occurs in many different ways in his books. Sometimes in the title of a work, often as a metaphor. Music scientist Emile Wennekes analyses how music and writing intermix regularly in the work of Japanese authors. Writer and musician Auke Hulst talks about the parallels between making music and writing a book. The program is musically framed by pianist Keiko Shichijo. She sinks her teeth into classical masterpieces by Bach, Schubert and Janacek as described by Murakami in his novels. She also pays tribute to the cinematic music of Ryuichi Sakamoto, with whom Murakami crossed paths more than once; Marjolein de Jong will draw Manga during this performance.